Crispy crumb coated chicken & rice balls. The Filipino version of egg rolls - filled with seasoned ground chicken and veggies. Or... try all 3! 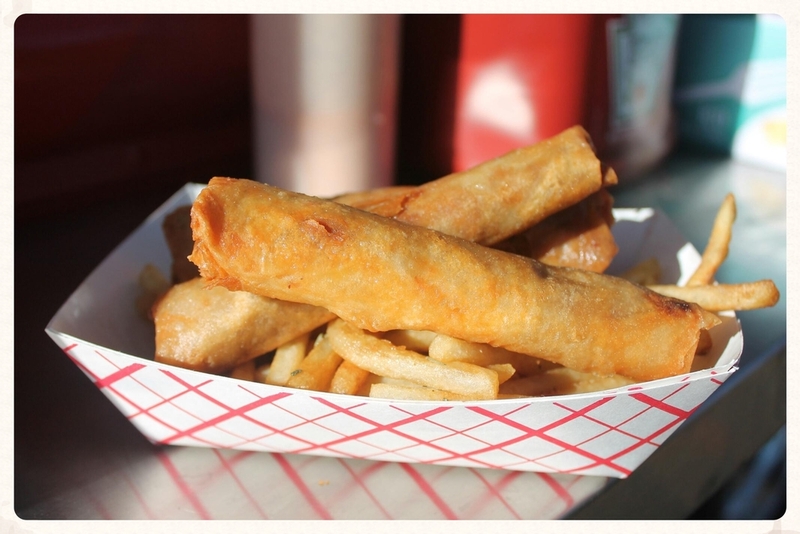 The combo comes with 2 Lumpia, 1 Bola Bola, and 1 Chick'n Strip. *Menu items are made to order and served with your choice of a side (below). 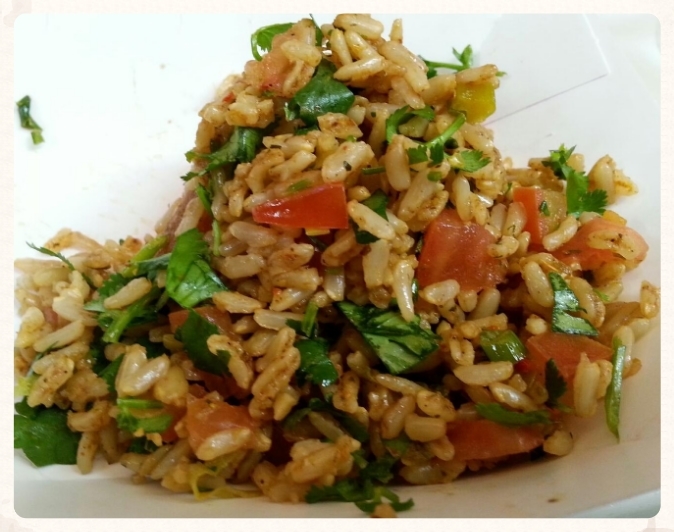 Tomato, cilantro, and green onions combined with soy and olive oil in a citrus dressed brown rice salad. 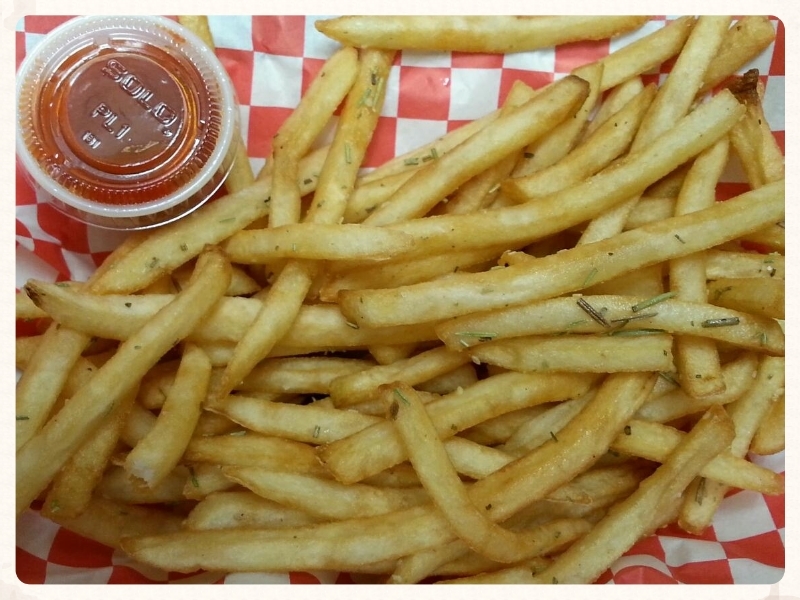 Shoestring fries lightly tossed with kosher salt and our blend of rosemary, garlic, and oil.